Few people can likely reflect the importance of organ donation better than Travis Quario, age 30, who is now recovering from his third kidney transplant surgery. At the age of 15, Travis – a normal, active teenage boy – had an allergic reaction to a common antibiotic. At first, they thought he had the flu, then they focused on an outbreak of mononucleosis which was spreading through his community of Allison, Iowa. As time would reveal, it was neither of those two common ailments causing the problems. 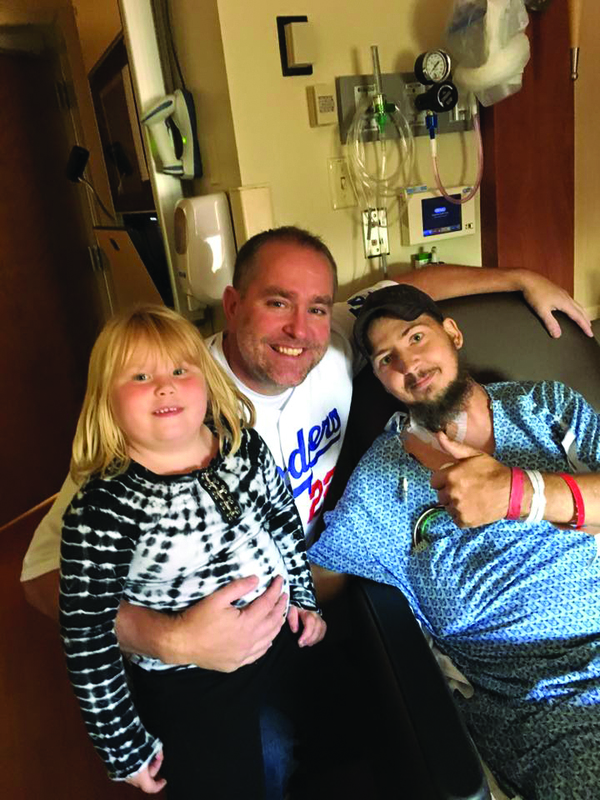 Within about six weeks, his kidneys had completely shut down and Travis spent the better part of the next year in Iowa City on dialysis and battling side effects of his kidney issues and treatment. “I was really pretty miserable,” Travis said. “I couldn’t do the normal teenager things my friends were doing. I was away from home and I felt pretty bad most of the time,” he added. Travis underwent his first kidney transplant in October 2001 at the age of 16. The kidney came from a loving place – his father – who tested as a good match. Unfortunately, that transplant only lasted for about three weeks as Travis developed blood clots in his legs, causing the organ to fail. This set of events – a very rare side effect of surgery – landed Travis back on dialysis and, once again, on the waiting list for an organ. Travis, right, is shown here with Wayne, his humanitarian donor, and Travis’ young daughter. Travis credits Wayne’s kidney donation with saving his life. In April 2002, Travis again had a kidney transplant, this time from a deceased donor. “It’s important that people know how valuable organ donation can be,” he said. “This gave me another chance at a more normal life.” As circumstances were, this organ also failed due to infection after about seven years, leaving Travis yet again on dialysis and waiting for a match for a third transplant. 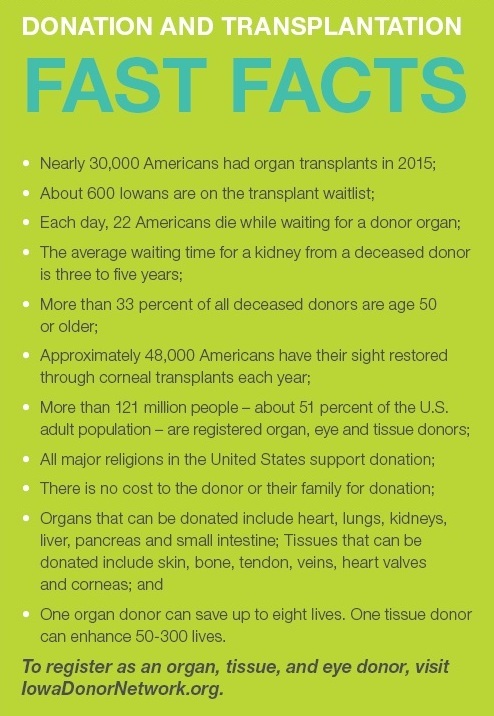 With each subsequent transplant, chances of finding an organ match decrease. It was said Travis had about a four percent chance at this point of finding a match for a successful third transplant surgery. Fast forward to Christmas Eve 2015. Travis received news that a humanitarian donor had stepped forward and was a great match to donate his kidney to Travis. Humanitarian donors are a rare and wonderful group of healthy people, offering to donate organs to people they often don’t even know. According to the National Kidney Foundation, 12 people die each day in the United States while waiting for a new kidney. 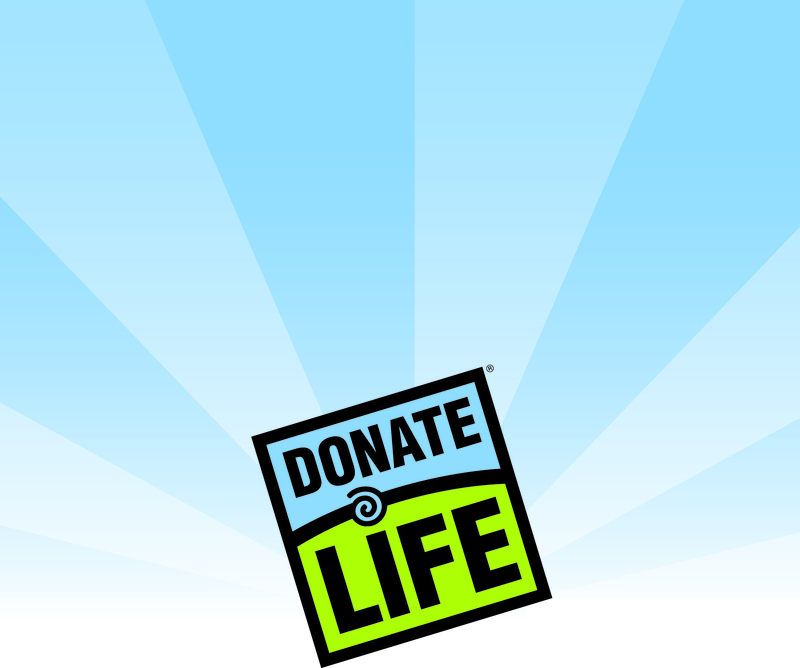 In 2014, 17,105 kidney transplants took place in the U.S., with 5,500 transplanted kidneys coming from live or humanitarian donors. 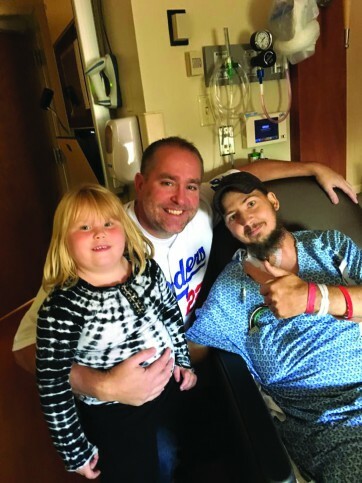 Over the next several months – between illnesses, testing and planning – both Travis, and Wayne Conway, the humanitarian donor, prepared for the eventual surgery, which took place on Sept. 29, 2015. To date, both are recovering well and there are no signs this kidney will be anything but healthy and functioning for many years to come. A few years back, it was doubtful that Travis would live to see his daughter, now four, graduate elementary school. Now, he looks forward to years of life and togetherness, and eventually being able to walk her down the aisle at her wedding. Learn more. 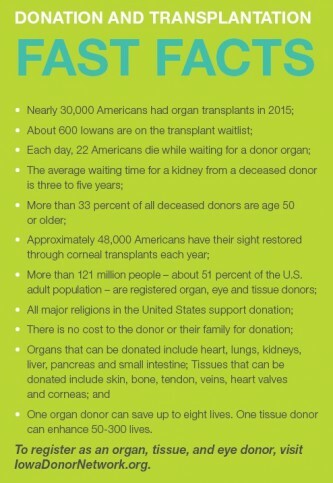 For more information on eye, organ and tissue donation and transplantation, visit www.mercydesmoines.org/transplantcenter. Improve your health today – by quitting! Previous story Can pets keep you healthy?